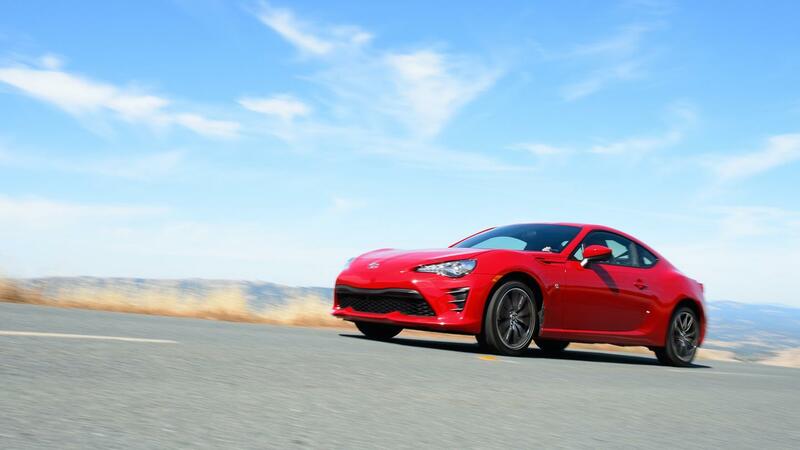 Previously known as the Scion FR-S before Toyota did away with its youthful sub-brand, what's now known as the 2017 Toyota 86 is a 2+2 coupe that's built on a front-engine rear-wheel drive platform. If you fancy an affordable sports car, or what's also a track-ready Toyota sports car, you'll have quite a time-consuming search on your hands to find anything that comes close to the 86 for the price. You're left in little doubt about what to expect when you look at the exterior of the 2017 Toyota 86. It's an overtly attractive sports coupe with a sleek and curvaceous exterior that invites you to get in and give it a try. This eye-catching car now has new bumpers giving it a wider, more aggressive stance, LED lighting is now evident at the front and the rear, and there are also some attractive new wheel patterns this year. 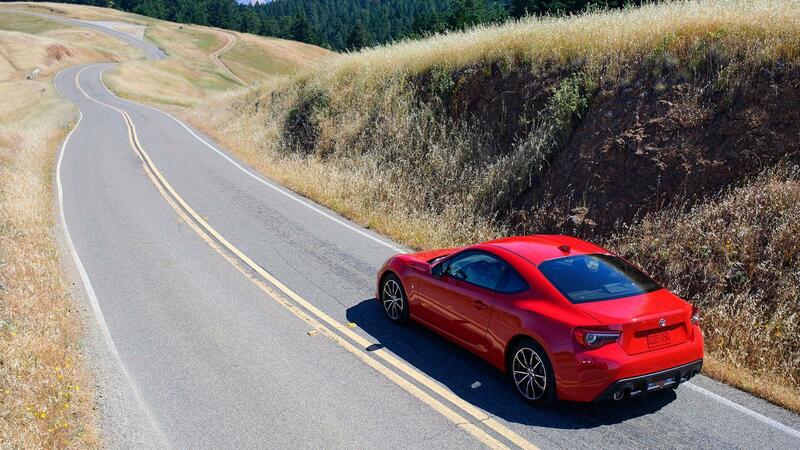 There's just a single engine offered with the Toyota 86, and it's fair to say the numbers associated with it won’t make too many muscle car enthusiasts sit up and take notice. But the Toyota's 2.0-liter four-cylinder horizontally opposed engine is only one part of what makes this car so sensational to drive. With the manual transmission option this unit produces 205 horsepower, or 200 horsepower with the automatic, although it still develops 156 lb.-ft. of torque with either transmission. Even with the flat-four's relatively modest 205 horsepower, the 86 only weighs-in at between 2,700 and 2,800 pounds, depending on trim, and it's the combination such low weight with a good amount of power that allows the Toyota to deliver such an entertaining and even quite thrilling driving experience. The addition of some fairly skinny, low-rolling-resistance tires then let the driver easily overpower the grip with the engine's available torque to steer the car with the rear wheels in true sports car fashion. There are no trim levels to go through as there's just the one version of the Toyota 86 and few available options. It's a refreshingly simple approach that does make things incredibly simple for those looking to buy this wonderful car. Of course, there's no need for loads of different options when a car is already as well equipped as the 86 is. Standard features include: a rearview camera, automatic climate control, remote keyless entry, a leather-trimmed tilt/telescoping steering wheel, cruise control, aluminum pedals and scuff plates, LED taillights and 17-inch alloy wheels fitted with 215/45 Michelin Primacy HP summer tires. That's not all though, as you also get an upscale Pioneer audio system with a 7.0-inch touchscreen, eight speakers, HD radio, voice control, and an auxiliary jack and a USB port. Optional features include a Display Audio system with navigation, iTunes tagging, Pandora internet radio, and Aha Radio, as well as a number of aesthetic and performance upgrades. There obviously isn't crossover level cargo space inside the Toyota 86, but it is pretty impressive for a 2+2. It is a genuine four-seater, although you probably won’t be inviting too many pro basketball players to ride with you in the back. The trunk offers a good amount of capacity thanks to a well-shaped aperture that's more than generous enough for medium-sized bags to fit without any drama. The rear seats are also able to fold flat to create additional horizontal room. The materials used throughout the interior are of good quality, as is the overall build quality that's just what you’d expect from a Toyota.